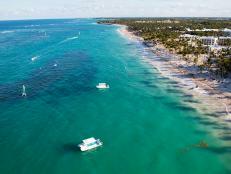 Escape to Grand Cayman Island -- the largest of the 3 Cayman Islands -- for a fun getaway to explore Stingray City, Seven Mile Beach, Queen Elizabeth II Botanical Garden and more. Let the adventure begin! 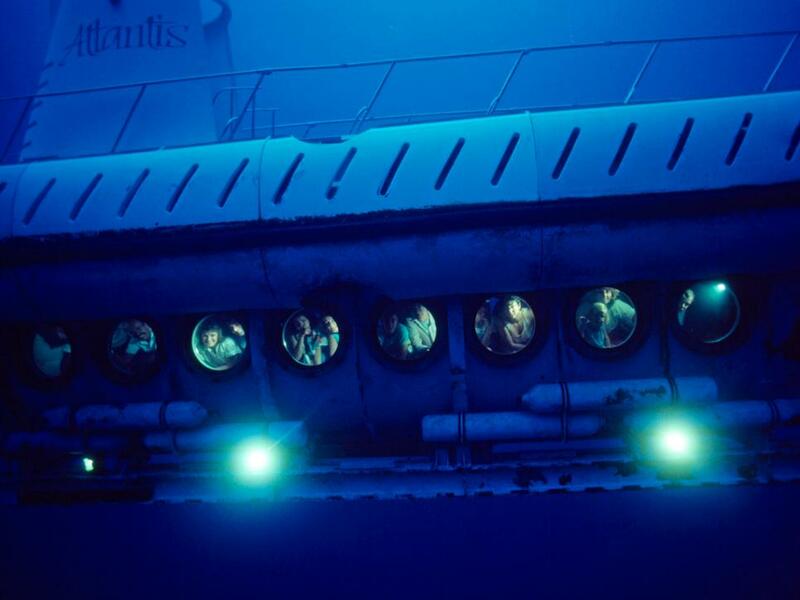 Take an underwater submarine tour to see Grand Cayman’s marine life, including a close-up view of colorful coral canyons, fish, sponges, stingrays, turtles and on a rare occasion, a shark. 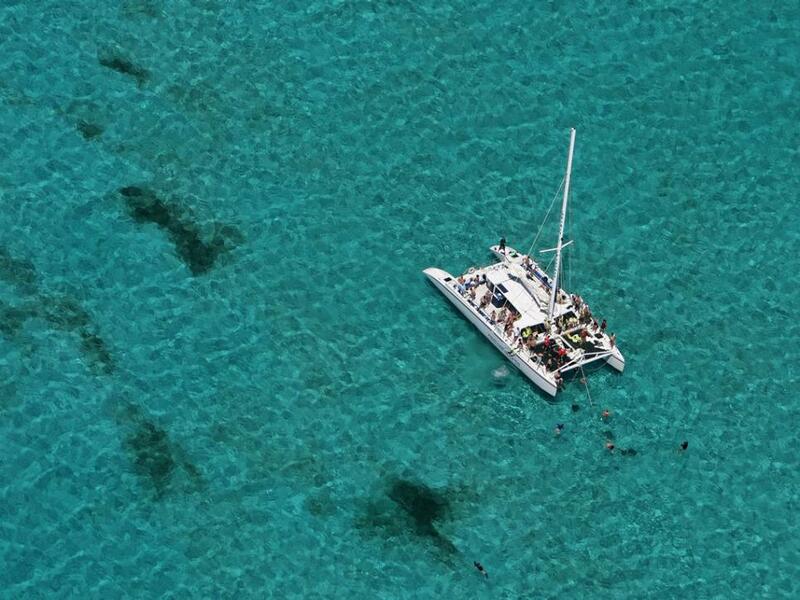 Take a catamaran cruise! Sample the local Caymanian cuisine, while enjoying awe-inspiring views of the sea and the island. 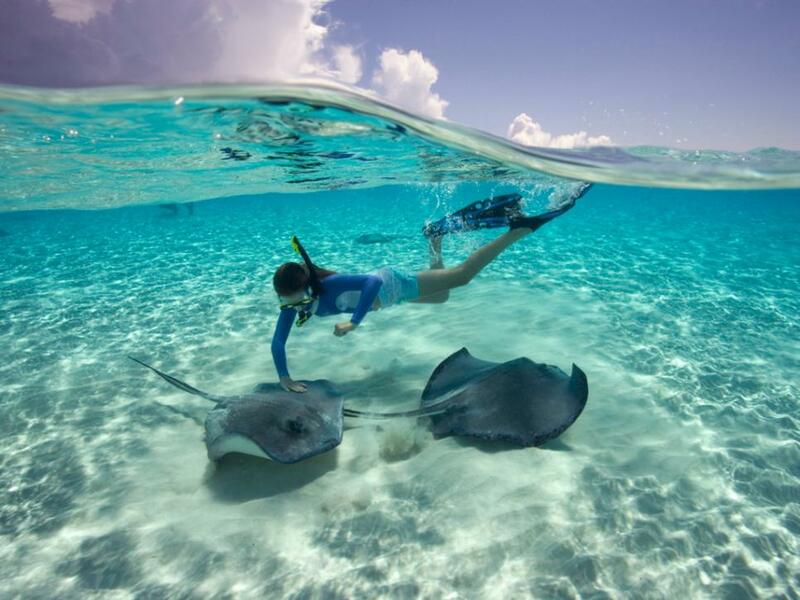 Go snorkeling in Stingray City, a series of shallow sandbars found in the North Sound of Grand Cayman. Tourists visit the popular attraction to pet and interact with southern stingrays. Go horseback riding along the tranquil blue waters of Grand Cayman’s pristine beaches. 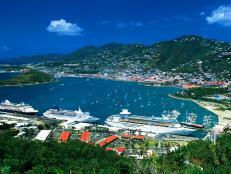 Some tour companies offer a fun trek through the island’s tropical forest and the beach. 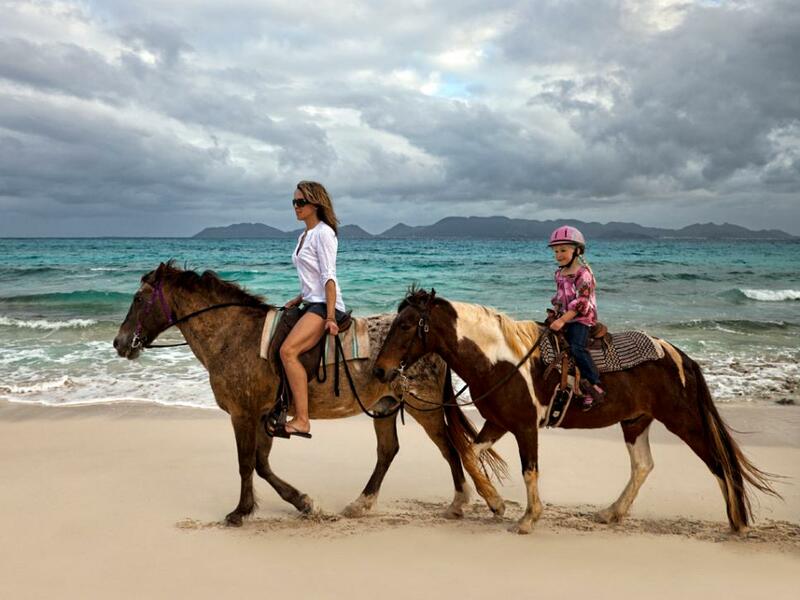 We suggest horseback riding along the beach to watch sun set. 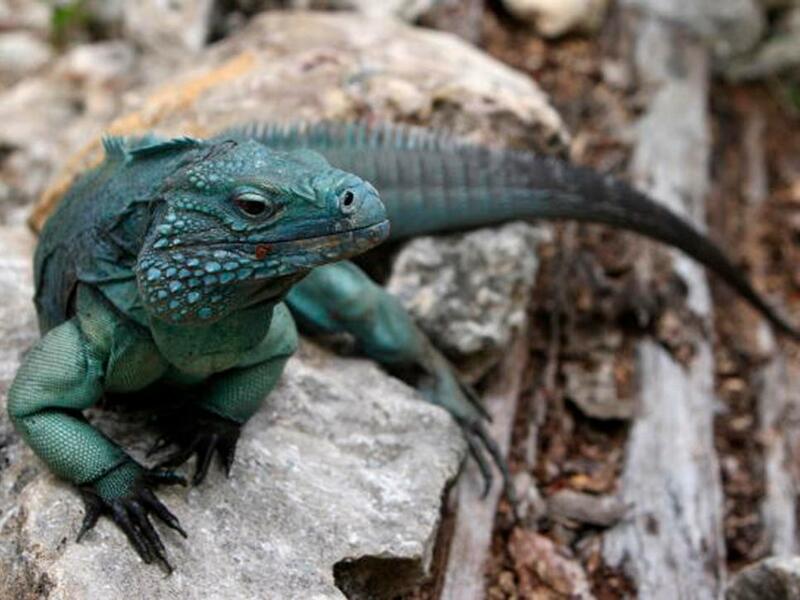 Explore the wildlife on Grand Cayman Island, including the endangered Blue Iguana, the longest-living species of lizard. These blue creatures have been known to live up to 69 years near dry forests or near the shore. At least 5 non-profit organizations are working with the government to ensure the survival of the Blue Iguana. 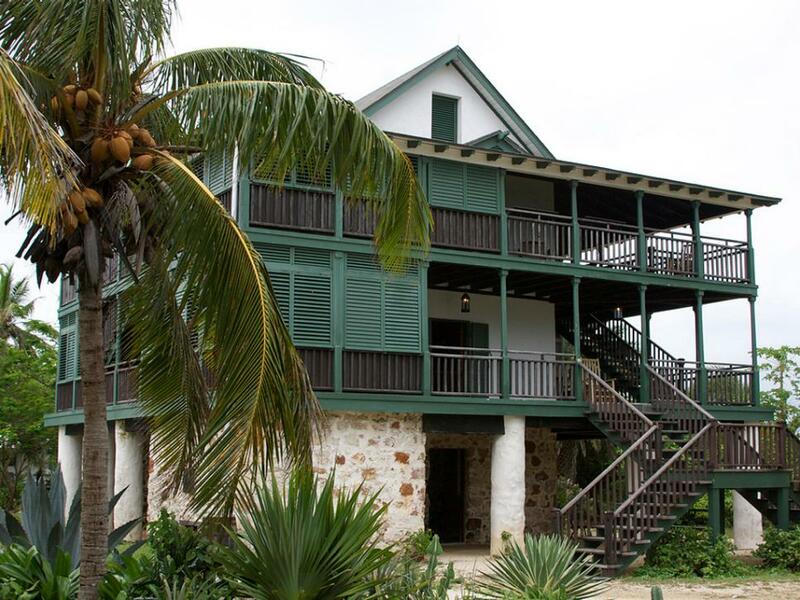 Rebuilt after a fire destroyed it in 1970, the Pedro St. James house -- also known to locals as “the Castle” -- is where island’s first 400 residents met to elect the Caymans’ first legislative assembly, on December 5, 1831. 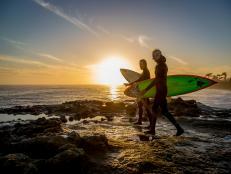 Tourists can take a self-guided tour the house and get an awesome panoramic view of the sea. Seven Mile Beach aka West Bay Beach has been called one of the finest beaches in the Caribbean. 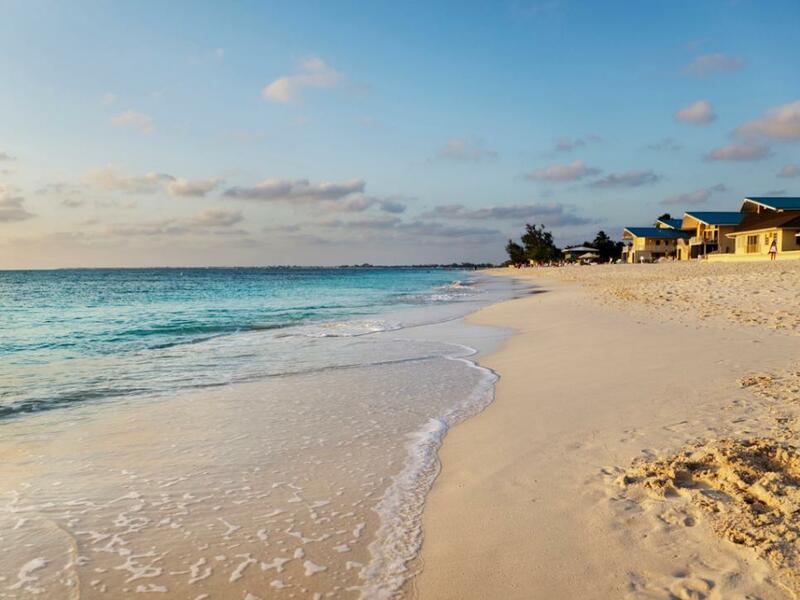 This wonderful white-sand beach stretches from George Town to Long Point. 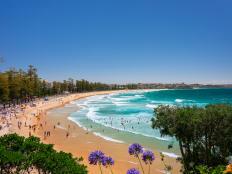 Its sandy bottom and calm, clear water make it an ideal spot for families with small children. 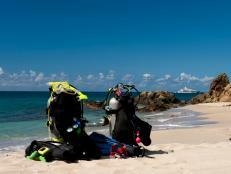 Seven Mile Beach is great for snorkeling and other watersports. If you’re looking for a spot to relax in silence, then steer clear of the areas located near the big resorts if you’re looking for a spot to relax and unwind in silence. These areas tend to be crowded. Grand Cayman Island is a prime spot for fishing. 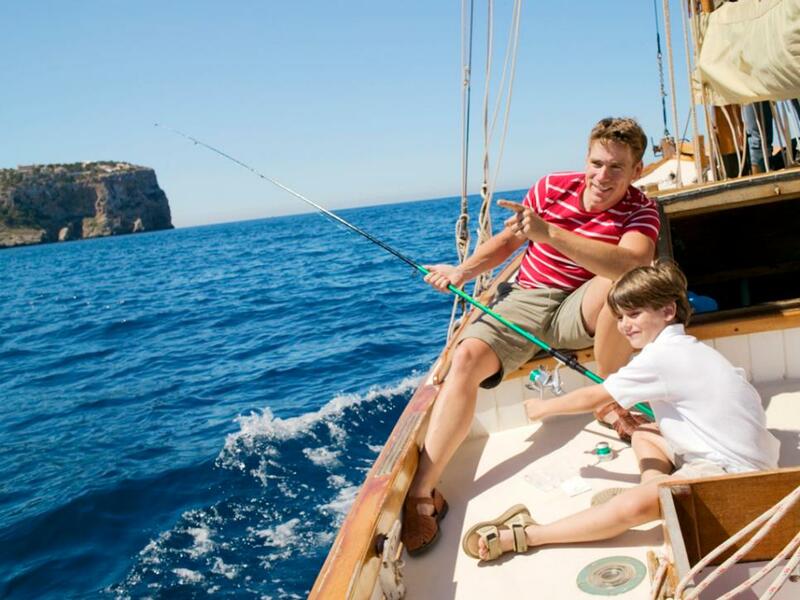 Enjoy fishing with the family or book a more adventurous, deep-sea fishing trip to catch a blue marlin, mahi-mahi, wahoo or tuna. 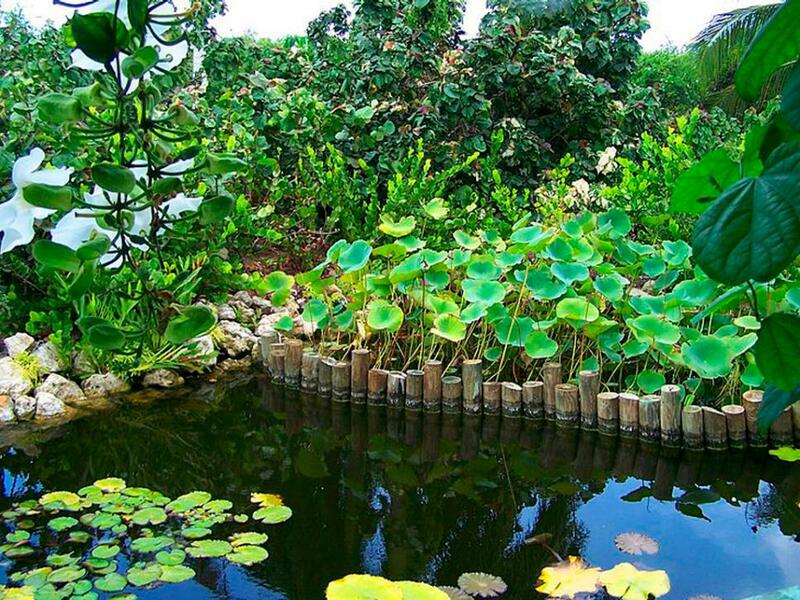 More than 500,000 people visit Cayman Turtle Farm each year. 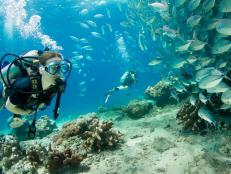 It’s the Cayman Islands’ largest land-based tourist attraction. 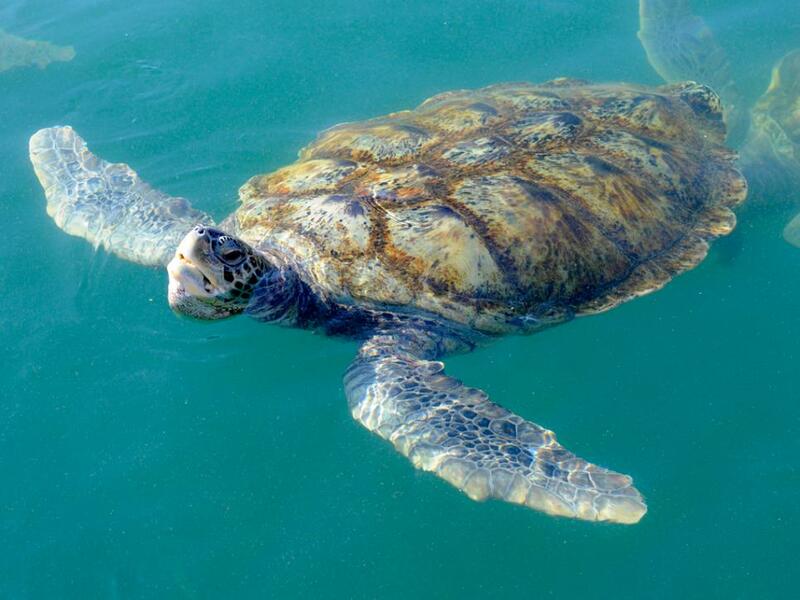 Jump in and swim with Green Sea Turtles and other colorful marine life in Turtle Lagoon; enjoy swimming and sliding down Turtle Twister Water Slide; and get a up-close and personal view of sandbar sharks, nurse sharks, tarpon and barracuda. 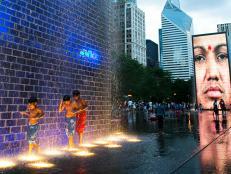 Step back in time and visit the park dedicated to the Wreck of the Ten Sails. 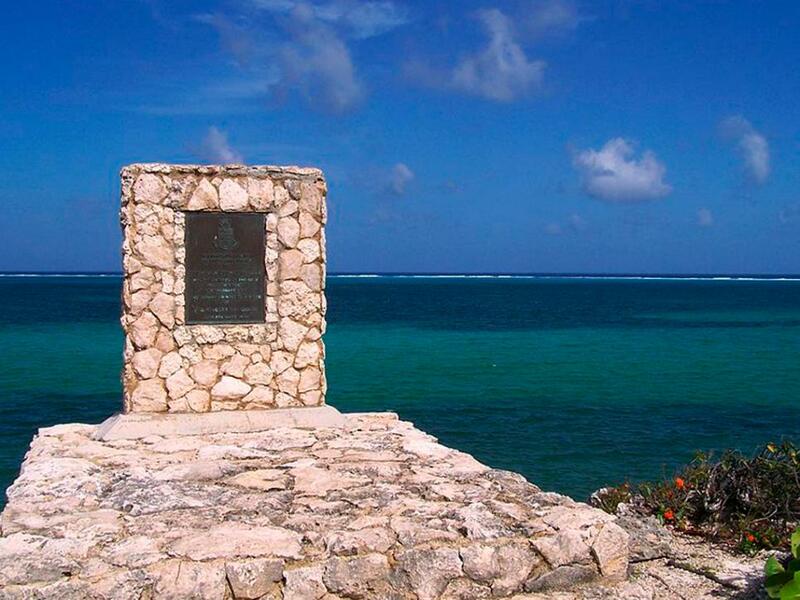 On February 8, 1794, a convoy of 10 ships -- on its way from Jamaica to the US and Britain -- wrecked on reef. Two hundred years later, Queen Elizabeth II visited the spot and dedicated a memorial plaque and park (pictured) to remember the lives lost as a result of the shipwreck. 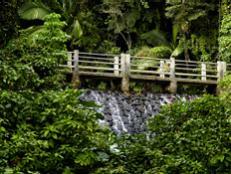 Take a stroll through the lush Queen Elizabeth II Botanic Park, located off Frank Sound Road. While taking a nature walk, tourists may spot native wildlife, including chickatees, freshwater turtles, anole lizards and blue iguanas. 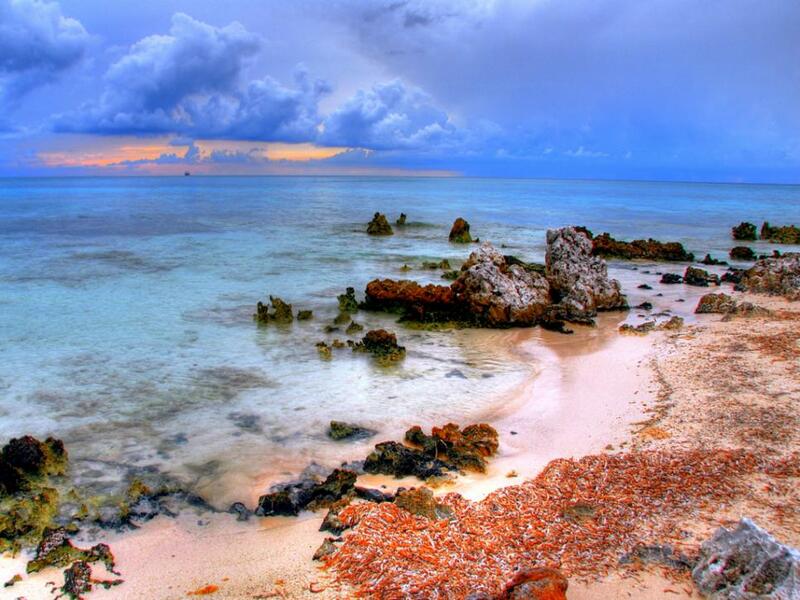 Remote Rum Point Beach is located on the North Sound, along the northern coast of Grand Cayman. 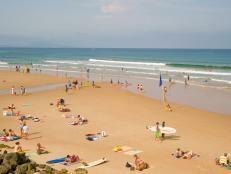 This beach has changing facilities, public toilets and showers on site and it’s a great spot for swimming. We suggest visitors grab a drink at Wreck Bar & Grill on a Sunday. 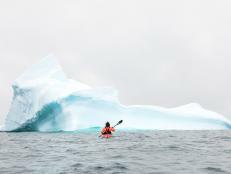 Locals usually stop by in their boats, adding to the bar’s lively, but fun atmosphere.